The best bitcoin miners are hard to find because demand for them is so high. Manufacturers sell out quickly, and marketplaces such as eBay and Amazon often list popular bitcoin miners at double or triple the manufacturers’ price. Here is a look at two of the best bitcoin miners and a review of profitability and risks in running a bitcoin mining operation. In the creation of bitcoin, founder Satoshi Nakamoto gave the responsibility for securing bitcoin’s ledger to miners or nodes. For this job, the miners get paid in bitcoin. In the early days of bitcoin, when just a few people were interested in bitcoin mining, a simple computer could mine bitcoin profitably. However, those days are long gone. There are many people mining bitcoin today all over the world. As more people begin mining, mining difficulty increases. Now, the only way to profitably mine bitcoin is with ASICs (Application Specific Integrated Circuits). These specialized computers run fast, hot, and loud with high-powered cooling fans. The fans create a high-pitched jet engine white noise that is disturbing if not maniacal. Yet, that noise is music to the ears of people mining bitcoin because it is the sound of making money in the mining business. The best bitcoin miner on the market is the Antminer S9 13.5 TH/s. The S9 has a high hash rate 13.5 TH/s for its power usage. What does that mean? The higher your hash rate, the more bitcoin you earn. The Antminer S9 is made by Bitmain Technologies, a semiconductor company headquartered in Beijing, China. Bitmain also operates Antpool, one of the largest bitcoin mining pools. Bitmain recently sold the Antminer S9 13.5TH/s for about $2320 USD and accepted payment in bitcoin or Bitcoin Cash. 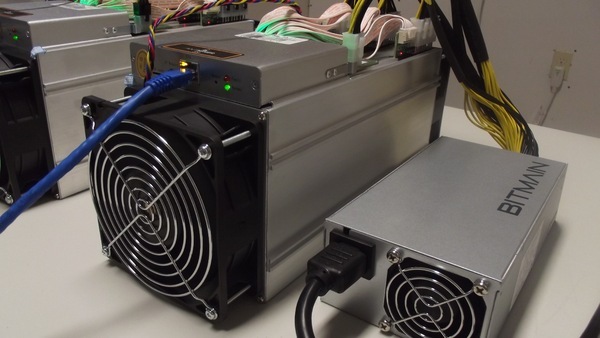 However, its website recently said the Antminer S9 was sold out. As a result, many buyers go to the secondary markets to buy the Antminer. On eBay and Amazon, the Antminer S9 13.5TH/s was recently selling for $5,000 to $6,900. The power supply sells for $100 to $300, depending on where you get it. The Antminer S9 and its separate power supply unit operate with 220-volt electricity. This is the same type of voltage used to power an electric clothes dryer in U.S. households. The Antminer S9 will generate a lot of heat, so it is critical to locate the machine in a room with good ventilation. Antminer S9 miners are loud and require a lot of electricity and dependable Internet access. A house or apartment may not be the best place for miners. Miners perform well in a climate-controlled room or warehouse. Reviews on Amazon are mixed, with a few one-star reviews interspersed among the five-star reviews. The main item of concern with the product seems to be the noise it generates. However, for serious miners who take steps to dampen the noise or locate their mining rigs away for a general living area, this ceases to be a huge concern. Another miner to consider is The AvalonMiner 741 made by Canaan, with a hash rate of 7.3 TH/s, which is about half the hash rate or earning capacity of the Antminer S9. Why would you consider buying this instead of the Antminer S9? For one thing, it is cheaper, which is always a consideration when you are just starting out with bitcoin mining. 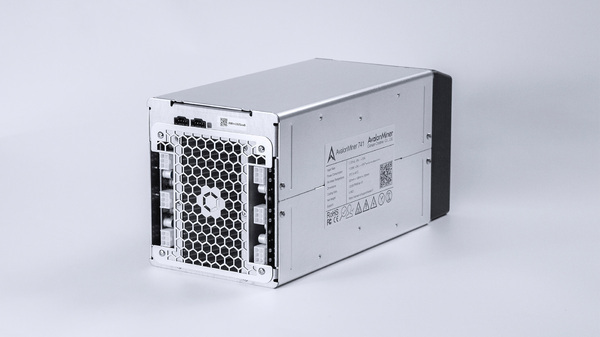 The AvalonMiner 741 is made with Airforming Cooling Technology. Containing 88 x A3212 16 nm chips, AvalonMiner 741 has a 7.3 Reliable Hashrate Per Second (RTHS). By connecting an AvalonMiner Controller (sold separately) to a single AvalonMiner USB Converter 3, you can connect five AvalonMiners. 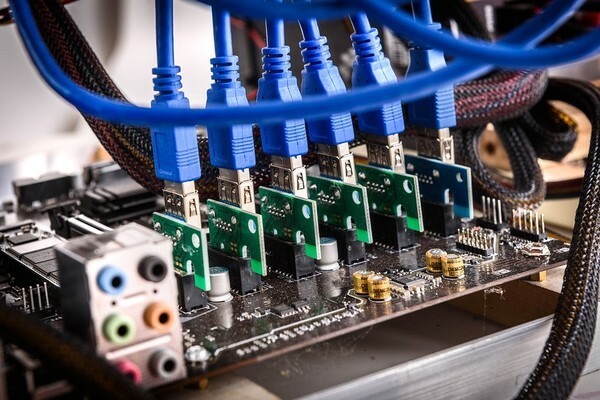 For maximum usage, you can connect the AvalonMiner Controller to four AUC3 devices which may each connect to five AvalonMiners for a total simultaneous management of 20 AvalonMiner 741 to reach 146 TH/s (RTHS). The AvalonMiner website says the cost of the AvalonMiner 741 is $1450 USD, but at the time of writing, the units were sold out. On eBay, the same product was recently listed for $3,500, and on Amazon, it was listed for $3999.99. There are risks associated with bitcoin mining. The two main risks are the volatility of bitcoin price and the issue of difficulty. Volatility: Mining profitability will fall if the price of bitcoin drops 50 percent. If the bitcoin price drops too low, profitability could disappear. Difficulty: Mining difficulty is set based on the time it takes for miners to finish a block on bitcoin’s blockchain. As more miners join in, the difficulty is raised to accommodate the increasing hash rate of miners. If the price increase of bitcoin stays ahead of difficulty increases, the miner is likely to do very well. What happens if the price falls too low and there are too many miners? You may see some people leave bitcoin to mine Bitcoin Cash or other cryptocurrencies. A diversified mining operation with different machines mining Ethereum, Litecoin, and Bitcoin Cash may help offset losses if one coin loses its luster. With the rising price of bitcoin and Ethereum, miners who operated in 2017 made substantial profits if they held onto their coins. With escalated prices in late 2017, miners saw the value of their holdings jump in value. Additional Costs: Electricity costs affect your profitability, but the Antminer S9 13.5 TH/s is the most efficient on the market, which means it generates a lot of hashing for its electricity usage. In 2017 Bitcoin mining machines paid for themselves in less than six months due to rising prices of BTC. Going forward it is hard to tell how fast the payback will be. Prices of machines have gone up, especially in the secondary market. In August 2017, a new Antminer S9 13.5 TH/s could be purchased for $3,000 on eBay. Now it is common to see a $5,900 list price for the Antminer S9 13.5 TH/s. A beginner miner may want to start small, get a machine going, and then consider going larger depending on profitability. If your machine can pay for itself in less than a year and still be working, you will be doing well. Watch videos about mining on YouTube. Remember that buying bitcoin is a lot easier than mining for it. Crypto markets change and evolve, affecting the price and profitability of miners and investors. 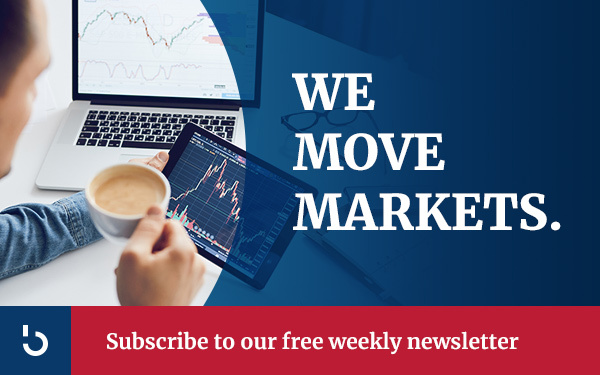 To stay on top of the latest happenings with bitcoin and other cryptocurrencies, subscribe to the Bitcoin Market Journal newsletter today.